Having been brought up surrounded by all things reggae, it’s only natural that Desta ‘Israel Starr’ Buchanan has become an important part of Aotearoa’s ever-growing reggae and hip-hop scenes. 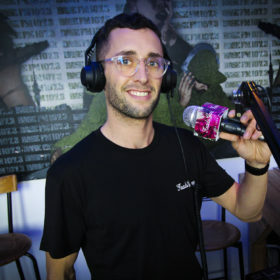 Israel Starr hails from Auckland but now resides in the culture capital Wellington, in the suburb of Upper Hutt, the birthplace of NZ hip-hop. Describing his style as ‘versatile’, Israel is able to rip up anything from hip-hop flows, sweet lovers rock and dancehall to smooth soul. 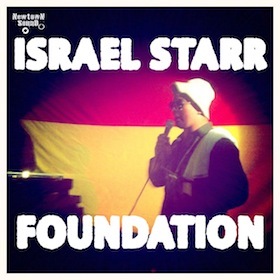 Israel Starr credits his talent to his upbringing in the Twelve Tribes of Israel. Growing up in the Twelve Tribes meant this he had the opportunity to learn from some of the best reggae talents in New Zealand, including vocalist Che Fu and selector Oblex Brown, and notably his father, the legendary Mighty Asterix. In 2011, Israel Starr has stamped his mark on the reggae and dancehall scenes, joining forces up with Art Offishal (Newtown Sound), to form a killer deejay/mc team. 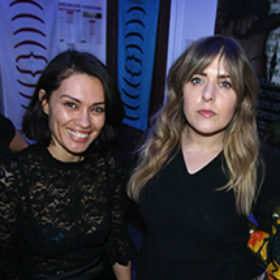 The pair’s first tune “Foundation” is a tribute to the pioneers of the NZ reggae scene.